Stolen Stereo is the ideal bike model for entry-level cyclists. These bikes are notable for their unique geometry, superior grip and elevated stem. This bike model is intended for commuting in urban areas or soft terrain. Everyday commuters, college students and hobbyists will find this bike model highly useful and affordable. Stolen Stereo is not a bike model that cyclists would immediately notice. Looks wise, it’s clearly a bike for new cyclists and people are still getting used to cycling. Regardless of the outwards looks, this bike model serves its purpose quite well. We were quite delighted to review this mode. The most noticeable aspect about this bike model is the Stratos stem that’s higher than usual. The stem, along with the Taperleg fork and one piece steerer helps the rider maintain an upright form. New cyclists will find this feature highly useful. As we all know, it’s not easy to lean in when you are just starting to cycle. Most new riders would want to maintain balance by maintaining an upright position. For that, this model is idea. This model comes with all sealed bearings and a number of aftermarket parts. This model is easy to maintain and upgrade. There’s an integrated headset, which many would find very useful. 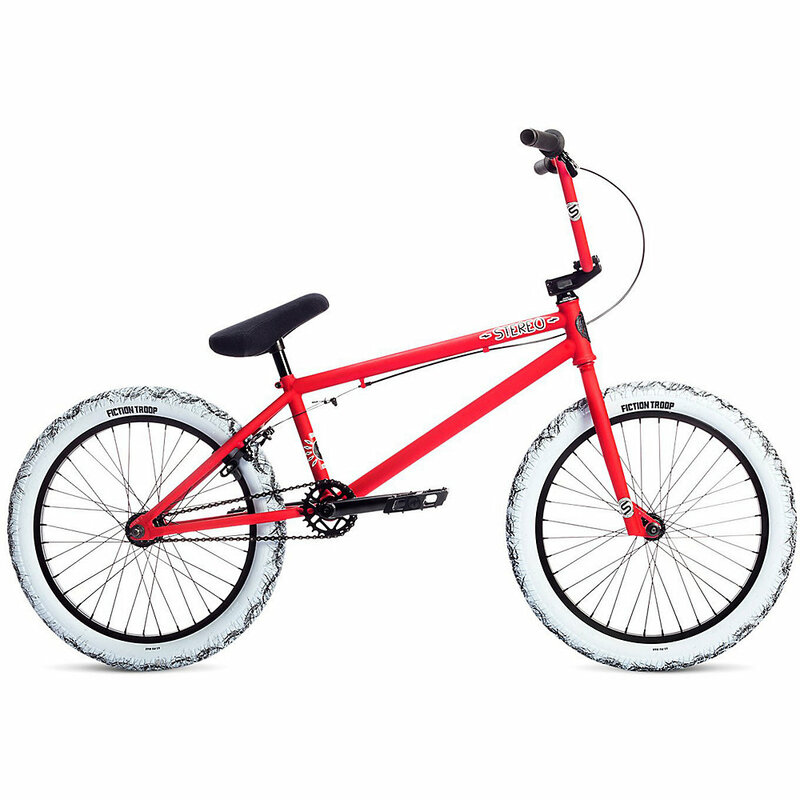 The Fiction Troop grips and tires ensure smooth riding. The front and rear hubs are fully sealed to guarantee numbleness. Plus, you won’t have to worry about foot slips with the Stolen Thermalite pedals. The biggest downside is that the design makes speeding difficult. It’s hard to lean in and cycle even when you want to. If you are looking for a solid entry-level bike model, then Stolen Stereo should be one of your top choices. This model does not disappoint. Stolen Stereo is designed keeping newbie cyclists especially in mind. The excellent features will do perfectly in cities and urban landscapes.